I’m thrilled that “The Coconut Latitudes” made the list – much appreciated! Thanks for your reply. Hope you get a chance to read it! Hmmm…”intriguing” can be taken a couple of different ways! Personally, I find it interesting to look at a compendium, or kind of inventory, of the books that have come out during a single year on expats topics. When you read about these books piecemeal, you don’t quite realize the pace at which these books are being churned out, or the range–everything from literary fiction to mystery to memoirs to comic books, even. We international creatives are quite a productive lot! I originally was going to say I looked forward to adding many of these titles to my reading list, but since I already have stacks (literally) of books waiting to be read, I thought I should be more practical while still showing my interest. I agree with what you say re: compendiums! Thank you so much for posting this fascinating list! I will re-post it on the Writing Out of Limbo Facebook page and Twitter account, where every Wednesday I recommend a book with TCK themes under the listing IN OTHER WORDS… Readers feel free to scroll back over the past two years to find more great books about growing up cross-culturally. And DN: thanks for all you do! I look forward to the dispatches — and, now, look forward to some great reading in the new year! Thanks so much, Nina, for your efforts to spread the news of this list far and wide, and for your kind words in support of DN’s efforts. It helps a lot to keep us going… Also, we will take a look at In Other Words for TCK books. We posted a few titles in Part Two but doubtless there are many more! Many of these books are on my “to read” list – so thanks for turning us on to them. I have read and can recommend “The Coconut Latitudes” by Rita Gardner – she’s a good writer. For those looking for some interesting reads from 2014, this blog post from The Displaced Nation has a list of books that are centred around travel and other cultures. Enjoy! This is an excellent list of books, including many titles I’ve recommended to others. One title that deserves a mention is the memoir “Good Chinese Wife” by Susan Blumberg-Kason, which came out in July 2014. It is one of the best memoirs I’ve read this year. Thanks for that suggestion, Jocelyn. I was aware of the book but hadn’t realized it came out this year. I will add it to the list! Keep us posted on any others you hear about, please!! I’m thrilled and honoured that Kurinji Flowers made your list! As it happens – while I have never lived in India – I have been an ex-pat – 2 years each in Paris and Brussels, 3 years in Milan and 6 months in Sydney! I look forward to reading some of the other great books on your list – thank you! Ah, your bio page mentions “stints” so I wasn’t entirely clear of your status. I’ll make that correction. And of course we wanted to have Kurinji Flowers in the mix. It sounds amazing! I read and loved Paris Letters, having met the author in Paris. Unless I’m mistaken you put her as self published which isn’t the case, her publisher is Source books. Hi, Julie. Thanks for personally endorsing Samantha Vérant’s memoir, which I haven’t read but thought sounded intriguing–I simply can’t imagine getting back together with someone I knew at 19, particularly from another culture. But maybe that’s just me? I’ve also made that correction to the publishing info–thanks! Thank you so much for including my book on the list!!! Thank you so much for including Luna Tango on your list! It wasn’t until after I’d written it that I realised it was my love letter to Argentina, a land of my heart. I’m looking forward to reading some of the books on your list – they all look amazing! So honored to be on your list! Thank you. I am also looking forward to digging into other books on this great list. Have some already on my Kindle 😉 Happy holidays!!! 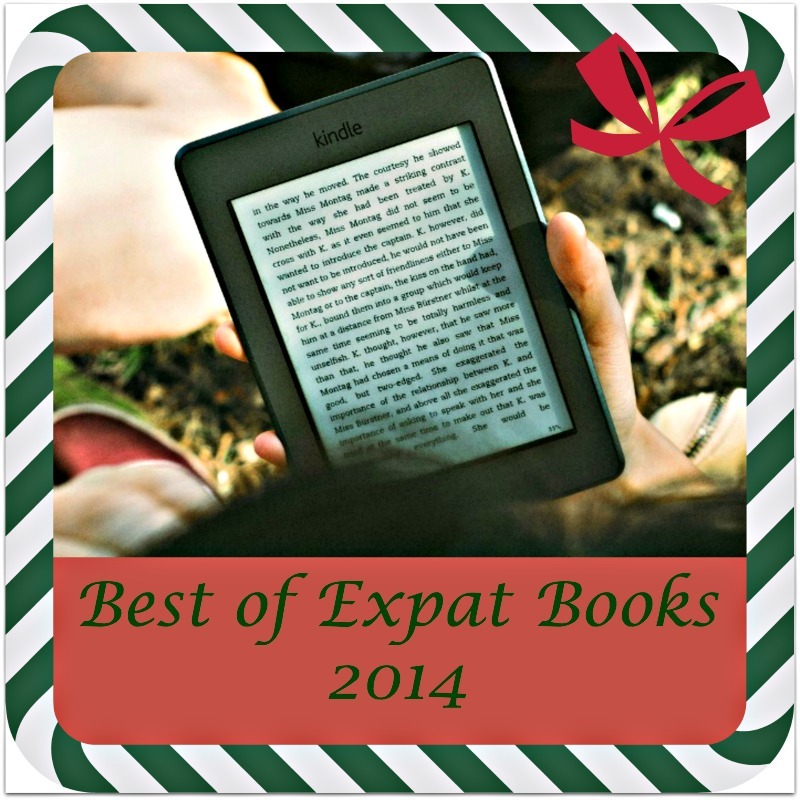 Pingback: On This List -> Booklust, Wanderlust: Best of 2014 in Expat Books | Marissa Tejada | Author. Travel Writer. Journalist. Thank you for squeezing me into your list for 2014 – wonderful books listed here – lots to enjoy and to choose! Thank you very much for adding “Moving Without Shaking” to your list! So excited to join other great expat books and authors on a quest to help more people understand and deal with cross-cultural challenges, international jobs, relocations and life abroad. Happy New Year! Thank you SO much for including Monsoon Memories on this incredible list. So honoured to be featured alongside such amazing authors.